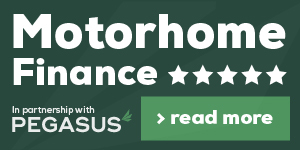 We offer an unbeatable service when it comes to buying a motorhome – but don’t just take our word for it. Please take the time to look through the opinions of our satisfied customers who we’ve worked with in the recent past. And then, once you’ve looked through the testimonials, get in touch with us at Glenns Motorhomes. Many thanks for the single pole plug you recently sent us. We’d like to thank you for the very professional service provided when we bought the Knaus motorhome. It was a pleasure to do business with you and friendly team. Rest assured you will be on our mailing list when we embark on our travels. I just wanted to say a big thank you to the Glenns team that we there to offer great advice when we bought our new motorhome. The friendly staff, and relaxed atmosphere was a complete contrast to other places that we have tried and made the process seem a lot less daunting, as we could trust we were in good hands the whole way through. I am writing to say thank you for the great service that you offered when we purchased our motorhome from you. We couldn’t be happier with the purchase and your team really helped make our new motorhome purchase as easy as possible. I’ll be sure to recommend you in the future.